After a year of preparation and three weeks in Antarctica, we were looking forward to hearing all about Catherine Sorbara and Hannah Laeverenz Schlogelhofer journey. So when our Co-Chair Raheela Rehman introduced the event we were very excited. We were fortunate enough to have BAS’s support once again to celebrate this event at their first-class venue: The Aurora Center. The Director of Innovations and Impact, Beatrix Schlarb-Ridley, opened the evening. She reminded us that women had come a long way since the days when we were not allowed in Antarctica, when 20 years ago the British research stations in the Antarctic were male-only. Today we have two women as BAS Directors. This was important remark with Antarctica in the background of Homeward Bound. A leadership initiative which aims to heighten the influence and impact of women in making decisions that shape our plane. It was more than a year ago, during our AGM, that Cathy Sorbara heard Deborah Pardo talk passionately about her journey to Antarctica. She was so inspired and touched that she decided she needed to live the same experience. In only three days she finished her application and a year later she started her own journey. I went to Antarctica worried about the envioment. Now, I am a climate warrior. Hannah and Cathy started their journey a year before sailing to Antarctica. 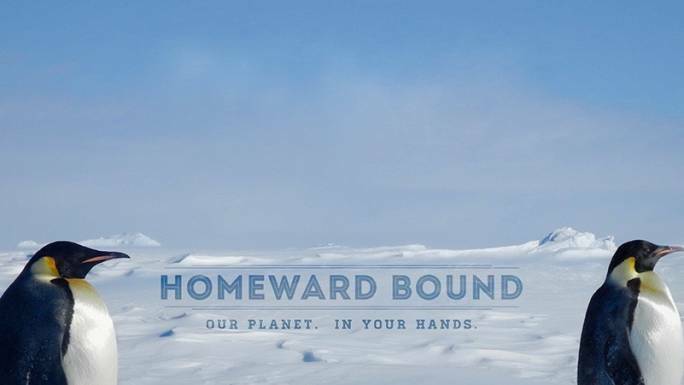 The Homeward Bound program includes a year-long program of self-discovery, mentorship, and leadership. It includes a toolkit to help you learn who you are and how to be the best of you, to understand what story you told about yourself and if it is true or not, and to learn what kind of leadership style is your ideal and how to become that leader. Last February Cathy and Hannah embarked with another 76 women at Isuahia. The life on the ship quickly became their new normal. Half their day was dedicated to the leadership program and the other half to explore the wildlife. And, of course, as scientists, they also made a symposium@sea where the themes were decided by a vote. They had special moments with whales, laughed with penguins and learned to respect the sea lions. They learned about themselves, about what means to be a good leader, about how women in the world suffer the most with the consequences of climate disasters and how Antarctica and the planet needs our protection. The evening included interactive exercises where Cathy and Hannah helped us understand how difficult is to communicate and how we are not alone with our insecurities. It was an empowering event and we hope that someone in the public was inspired to start her own journey to Antarctica. As the Homeward Bound motto goes “Mother nature needs her daughters”. Applications for TeamHB04 close at 10AM AEST on Friday May 18, 2018. What better place to sharpen one’s leadership skills than amidst the harsh landscape of Antarctica. The frozen continent is filled with stories of leadership from the early 20th century explorers and their race to be the first to set foot on the South Pole. 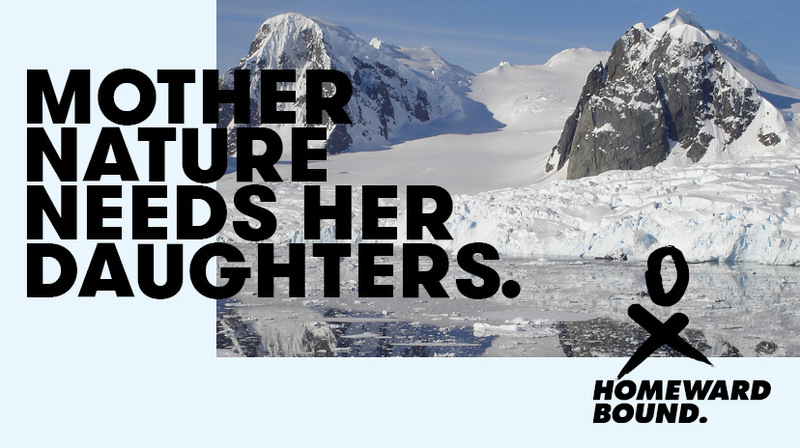 For 78 women in STEM from around the world, Antarctica was the backdrop for their own explorations into leadership as part of Homeward Bound Projects. Come join CamAWiSE co-chair Cathy Sorbara and University of Cambridge PhD student Hannah Laeverenz Schlogelhofer, 2 of the women chosen for this leadership program, as they reflect on their experience, why it is so critical to empower more women leaders, what they learned about themselves and working with others on board, and how it will influence their future careers and hopefully inspire others in the audience. And of course, learn more about the continent they have come to love and advocate for. Coffee, tea, and cake included. Setting sail from Argentina, 76 women from 16 countries capped off 2016 with a 20-day voyage to Antarctica. This made the BBC news front page story; “Largest all-women expedition heads to Antarctica”. Homeward Bound, an Australian programme, is the brainchild of Dr Jessica Melbourne-Thomas and Ms Fabian Dattner. It aims to place women, with a science background, firmly on the global map to influence “policy and decision making as it shapes our planet”. The Homeward Bound voyage in parallel with lectures and leadership workshops, took its very first women to observe the effect of climate change close up. I thought I knew what Dr Deborah Pardo was about to present at Lucy Cavendish College. I expected a presentation about; her participation in Homeward Bound, her climate observations at Antarctica, how her research slotted into the programme’s objectives and to inspire the audience to push their boundaries. Yes, Deborah hit all four, but her unexpected “contagious optimism” set the room alight. She took our hands, pulled us into her world and we took our personal journey through her experience. Deborah’s professional roles took her from France (her home) to Sweden and most recently to the British Antarctic Survey (BAS) in Cambridge, UK. Her research focus at BAS was on the demography and understanding the drop in the populations of three Albatross species (Wandering, Grey-headed, and Black-browed). She monitored the birds by tagging them with tracking devices and processed the extracted data using extensive computer modelling. During this time Deborah trained two PhD students and she also took maternity leave to have her son. A guilt-ridden 10 months followed as she was unable to provide full focus on both her research and family life. As a driven scientist she found it difficult being away from her work, but with no family support in the UK, the time away led to personal reflection on her work-life balance. She questioned the reach of her research papers. In the bigger picture, what impact would they have globally to help the Albatross species? The next step came naturally; intrinsic goals would lead to satisfaction and play as a catalyst for happiness. These goals included improving the environment and reducing consumption. The common denominator to create this global wave required half the population to engage, and that was to empower women to take a lead. In developing countries, women are the carers for their families, their children and the old. They hold a “quiet knowledge”, which glues the family together. Along with this central role, at times of crisis women are also the most affected – Deborah cited the Bangladesh floods of 1991, where 90% of those killed were women. But it was also this “quiet knowledge” that women used in Western Africa, where Water Hyacinth had polluted the waterways. This removed the oxygen from the water, suffocating the fish and impeding the movement of boats. This halted trade and fishing for the local fishermen. The women removed the weed, using them to make ropes that they entrepreneurially traded, whilst freeing the waterways. Deborah explained that women work close to the ground and they are more aware and proactive to combating climate change. Leadership takes many forms and not just being the CEO. The knowledge within the person is the formative contributor to leadership and success. As a scientist, Dr Deborah Pardo followed her professional path, with rigorous evidence-based decision-making. As a female scientist, Dr Pardo believes that leadership decisions are taken collectively as a team, which is a key leadership capability. The economic case shows that when senior leadership is composed of greater diversity, the skills that women bring to the table strengthen the organisational performance. Prior to the journey, a year-long preparation involving; online training and psychological tests measuring the participants’ lifestyle were taken. She was also required to raise $16k (US dollars). Deborah rose to the challenge. One of the sponsors was the parent of a school child. Deborah was required to provide an educational video for the school in return for the sponsorship. She will also work with the school for three months. Why Antarctica? Antarctica is an iconic symbol of the human impact on the world and grabs the attention of the media. The participants travelled by ship overnight to different locations, in the mornings after breakfast they went on land and returned for training in the afternoon. One of the lessons learnt from her Homeward Bound journey, was to question; “What can I really achieve?” Within a network, Deborah is in a stronger position to instigate, maintain and follow through for change. She will now act as a mentor to the next set of bright women who take up the challenge, including Catherine Sorbara, new Chair of CamAWISE.